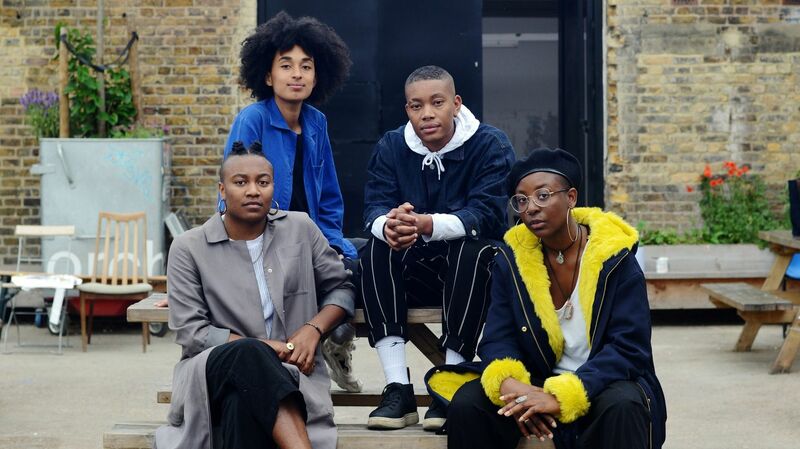 Members of sorryyoufeeluncomfortable & BBZ, Photo by Efua King for i-D.
A group show of recently graduated artists who identify as queer womxn, trans & non-binary people of Black Ancestry. Chosen by a panel of established artists, curators & cultural workers. The exhibition will platform 10 artists at Copeland Gallery this July: Sade Mica , Christopher Kirubi , Georgia Lucas - Going , Shadi Al-Atallah, So La Oluade , Mayfly ,Rebekah Williams , Tanoa Sasraku-Ansah, Shenece Oretha and Irvine Bartlett. BBZ London and sorryyoufeeluncomfortable collective believe that the commitment and passion of artists who are black and queer deserves to be celebrated. Our intention is to provide a space for artists to be their fullest selves in the presentation of their work, and for audiences to view their work in a space that does not pathologize or other their identities. The show asks both what it means for the artists to identify as they do and also what the qualities of the work are beyond its Blackness and its Queerness.